Clinical investigators regularly report that logistical barriers hinder their conduct of clinical trials. Physician and staff workload balance, the time required for study startup and implementation, lack of access to studies and finance issues can all limit research success and expansion. 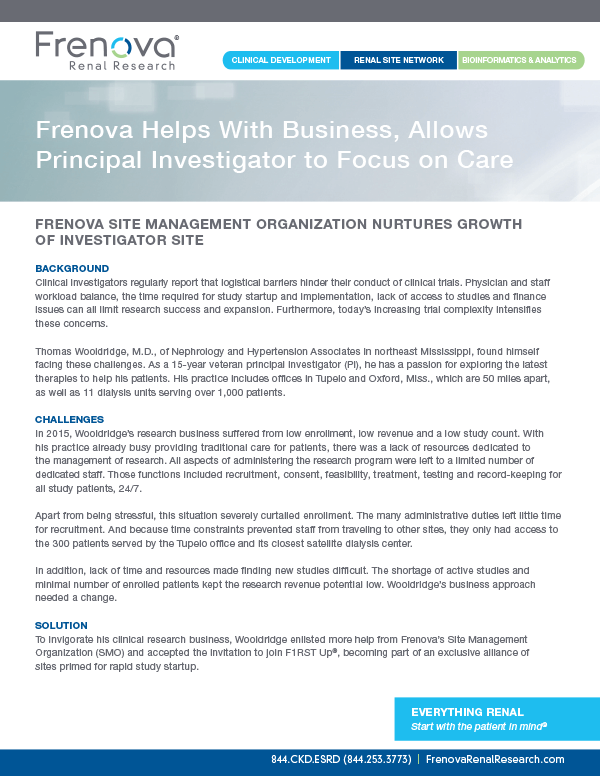 Frenova helps physician practices overcome the complexities and unexpected challenges associated with managing a clinical research business. By spending less time managing the research business operations, physicians are free to focus on principal investigator responsibilities and caring for patients. Ready to start your study? © 2019 Frenova Renal Research. All Rights Reserved.